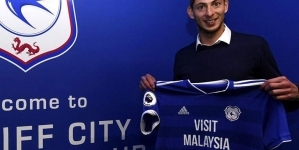 Emiliano Sala’s remains begin homeward journey as the body is to be flown back to his hometown in Argentina where a vigil is planned. 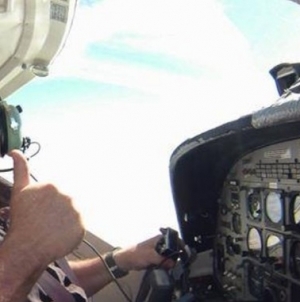 His body was recovered from the plane wreck last week but Mr Ibbotson’s body has still not been found. 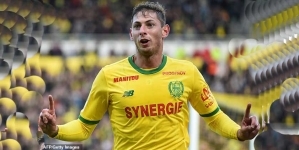 Sala was flying to join his new side Cardiff City from French club Nantes when the plane went missing. Julio Muller, mayor of Sala’s hometown of Progreso, said the footballer’s family had arrived for the service. 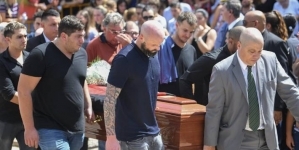 Mr Muller said Sala’s body would arrive in the late afternoon on Friday and be taken to the gymnasium next to his youth club’s headquarters, where a vigil was scheduled. His boyhood club San Martin de Progreso posted an emotional tribute on Facebook, saying: “We are waiting for you…like the first day you left but this time to stay with us forever. Sala died of “head and trunk injuries,” an inquest heard on Monday. 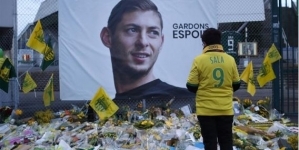 His former teammates gave him a rousing send off on Sunday, playing a French league match in a special black kit with each player wearing Sala’s name on the back of their jersey.